I think I’ve found the answer to my biggest cooking challenge, knowing when meat is properly cooked. I know there are a number of methods out there, and some of you can tell when your steak or chicken is ready just by pressing on the center, but this has been my greatest culinary struggle. I like to cook meat to temperature, 130 degrees for medium-rare when cooking steak, and if I remove it at 125 degrees it will be perfectly cooked after it rests. Roasting a whole chicken can also be a challenge. 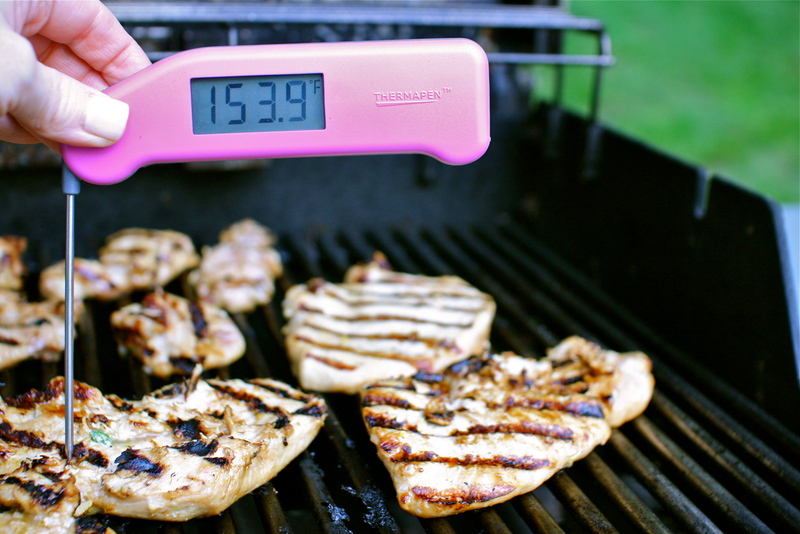 Farm raised, organic chickens don’t come with that pop-up timer, so you definitely need an accurate reading using a thermometer. You will find a number of instant read thermometers on the market. I have been through a couple small dial display instant reads, but I swear they become less accurate over time. I thought buying one professional quality thermometer might be the solution. Before I start praising my fabulous new Thermapen I must warn you, it’s $89. I know that’s a lot of money and there are certainly meat thermometers out there for substantially less, but I have to say this is the best thermometer I have ever used. 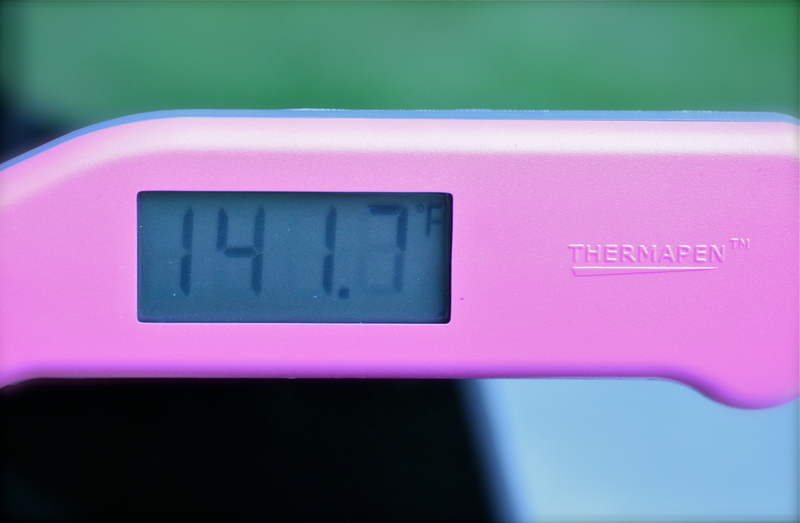 This Thermapen is fast. Rather than waiting for the dial to go up on my old instant read, while the oven is open and heating up my kitchen or my arm hair is catching on fire over the BBQ… the Thermapen is truly instant. I discovered this thermometer reading an article on Serious Eats. They have a great guide to grilling steaks and Tip#10 is Use a Thermometer! To quote: “Yes, you may look a bit less macho when you whip out a nifty Thermapen Splash-Proof Instant Read Thermometer from your back pocket, swing out the slender probe and insert it gently into the very center of your steak to register a reading, but believe me: perfectly cooked meat will earn you more praise and appreciation than macho posturing any day of the week.” And there began my search for a Thermapen. I was only able to find it on Amazon. It comes in a few colors. I chose pink, thinking I would always be able to find it in my cluttered gadget draw. I was going to list some additional tips on grilling, like remembering that the meat’s temperature will continue to rise even after you take it off the grill or that you should always let it rest before cutting into it, but the article above from Serious Eats is fantastic. Have a look if you’re interested in some guidance to cooking the perfect steak. I recognize that you might think I’m nuts for investing in my Thermapen, but I would urge you to find a meat thermometer you are comfortable with. I think it’s certainly the best method to cooking meat perfectly, and we have a whole season of delicious grilling ahead of us. Definitely! This is a good one.